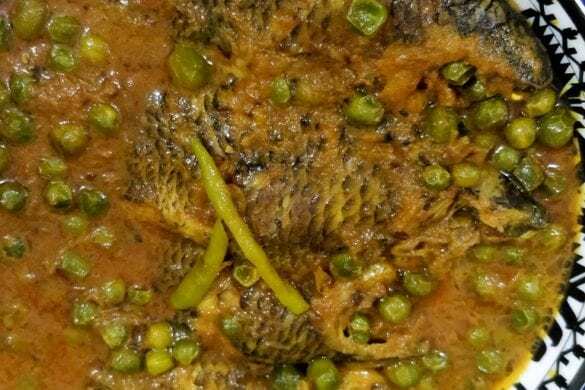 I went to Bangladesh on a quest for hilsa. 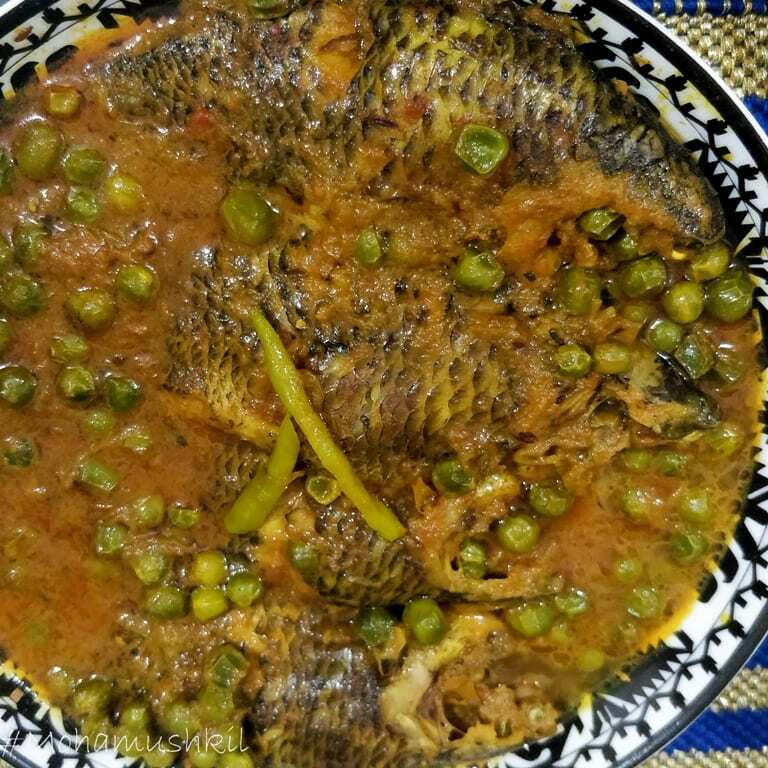 Yes, the fish that is the object of desire for both India and Bangladesh. 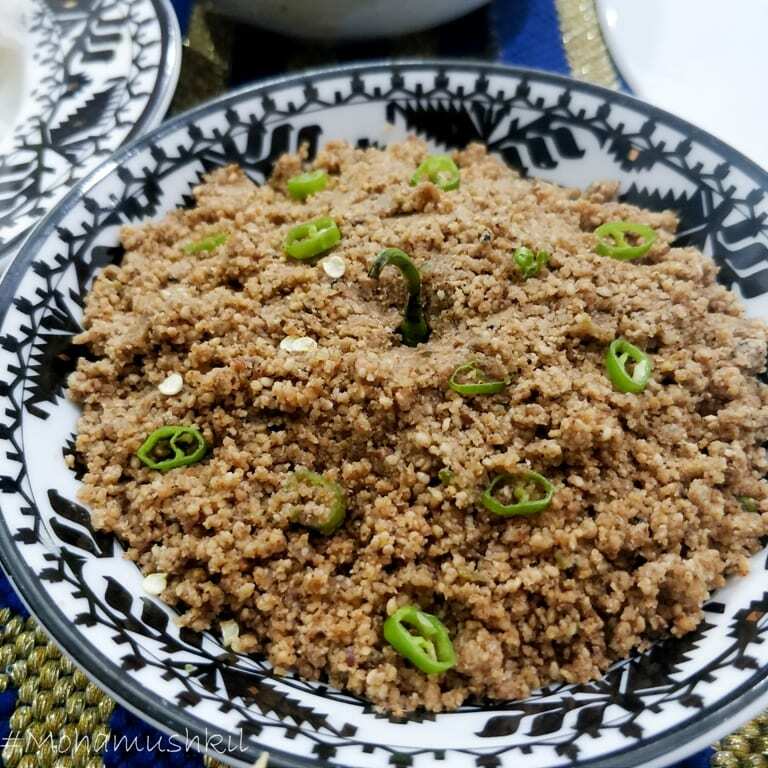 The Bangladeshi cuisine is hugely different from India, but the basics are so similar. Us, in both countries, take the same … almost the same ingredients and make such different products. 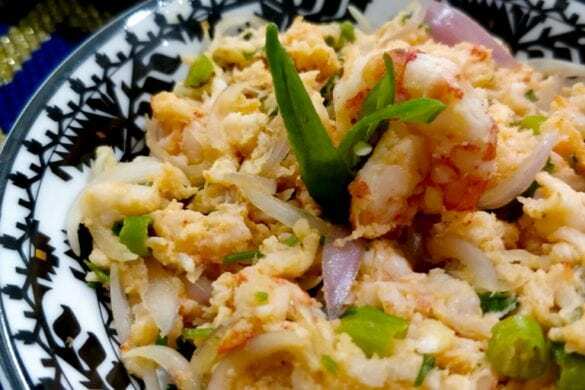 The use of onion and garlic in Bangladeshi cuisine is pretty heavy, wherein in Indian cuisine, it is not so. 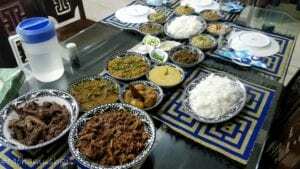 But what about the home food that is there in a normal Bangladeshi household? If we assume also that they have an overdose of fish and meat along with rice (which is far from truth BTW), what about their breakfast? Madhurima di has helped a lot in connecting me to a lot of interesting characters. 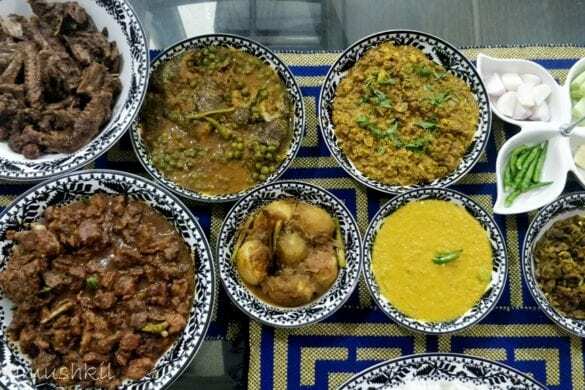 And when she told me “You should definitely meet Shawkat Osman … he is one colorful character in himself”, I shamelessly called him up to have a chat on Bangladeshi cuisine. 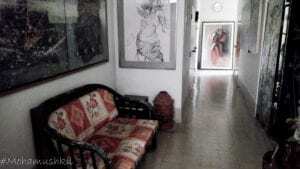 One thing led to another and there I was at his apartment at Banani one evening. He is one colorful character, true that. 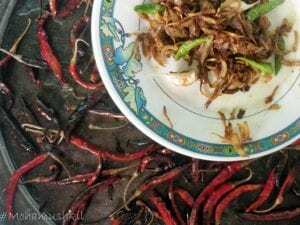 A self-taught, instinctive culinary expert, author of multiple cookbooks and TV personality in both India and Bangladesh, he wears multiple hats. But once we met, I had to go through a few questions, like the old school viva to have him talk. 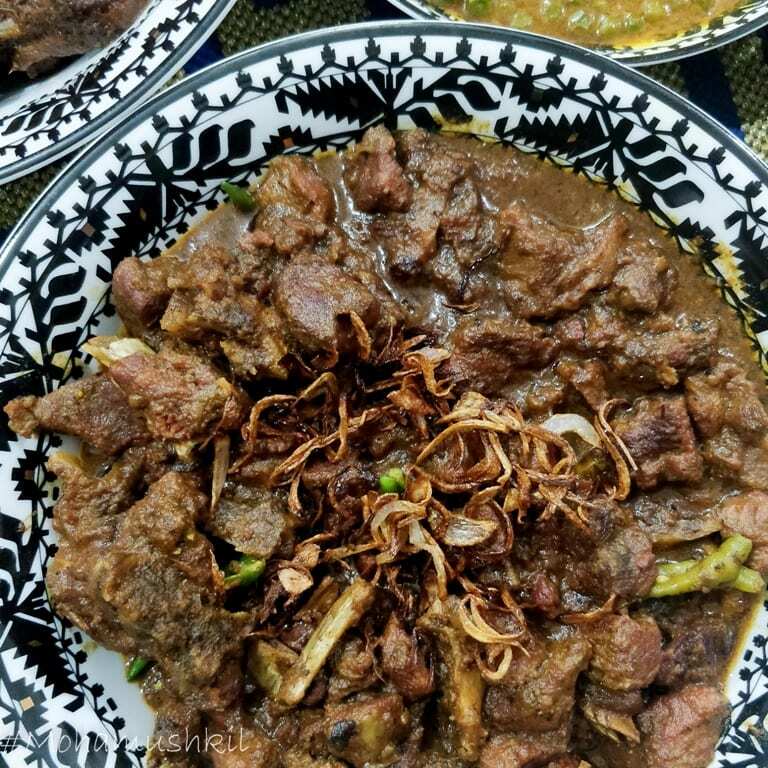 “Tell me, what do you mean by Nihari …” was the first question and luckily, the idiot in me remembered the answer. And then it was my turn. 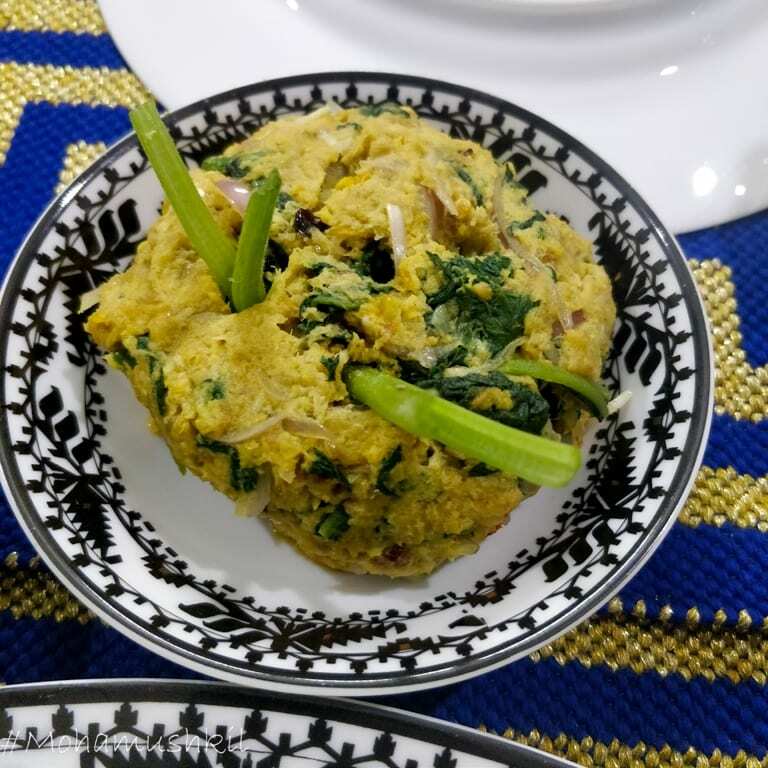 “Tell me something about Bangladeshi breakfast … what do people have in breakfast here” and here’s the interview in the youtube video. Let us not get into the standard breakfast of bread toast and dalpoori. But I found out few interesting items from his talk, which can be put in bullet points as below. 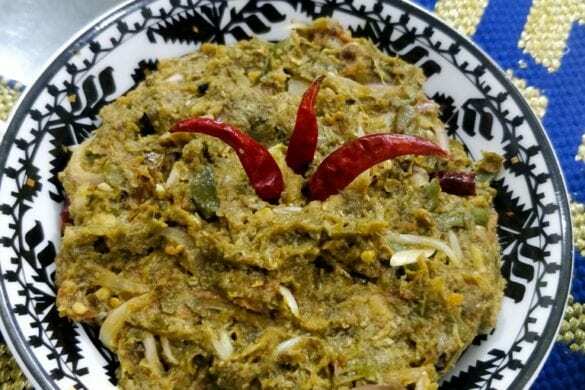 Chhit Rooti- chhit ruti is not found in restaurants, sadly and only in households. 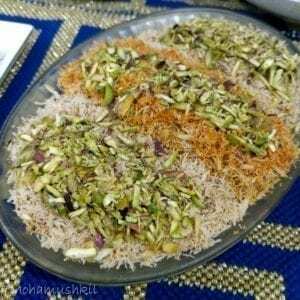 the process is such that preparing one rooti takes 10 min time and is not really a commercially viable option. Rice flour is made into a batter and sprinkled (literally) over a hot griddle. The result is a designer, lacey bread, made out of rice flour. 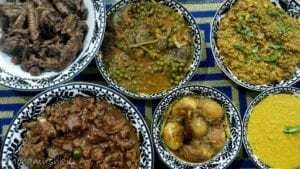 and this dish can be called as a true Bangladeshi breakfast. 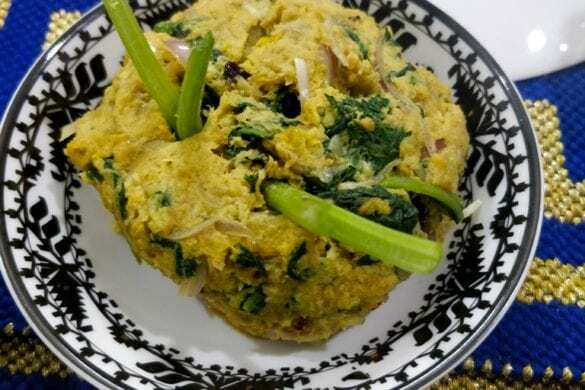 A little amount of ginger and the yellow color goes inside and that gives its distinctive texture. 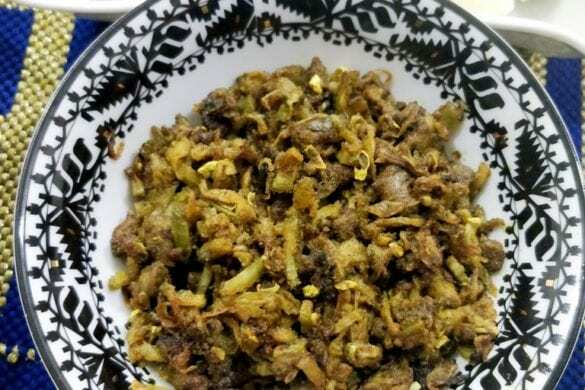 The standard accompaniment is scrambled egg or dim jhura and/ or keema. The flour or rather, the batter has to be hand ground for the required crunchiness. 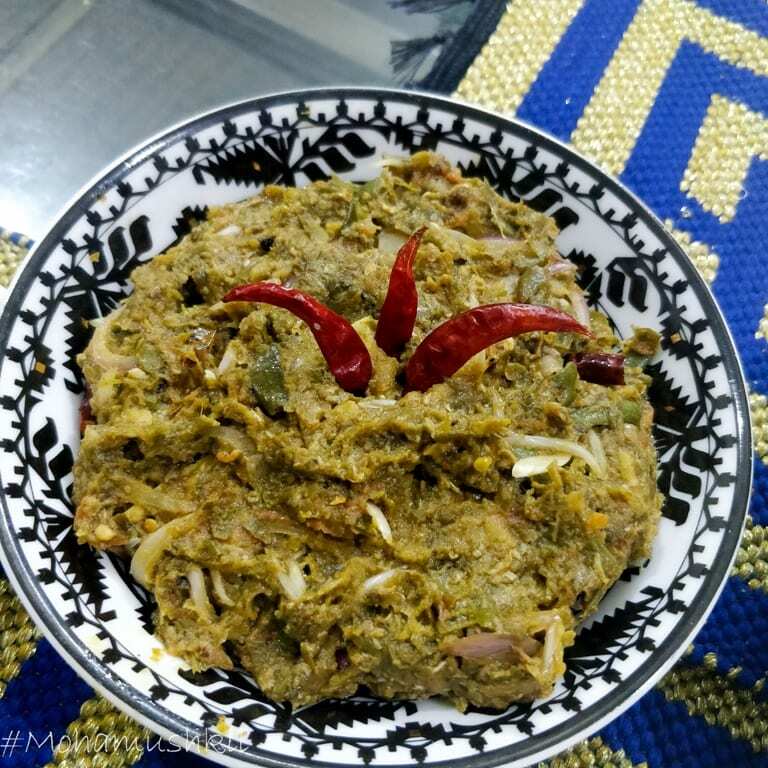 Chitoi Pitha and its multiple accompaniments- This can be called as a bigger version of unniyappam. It’s made in a special vessel. 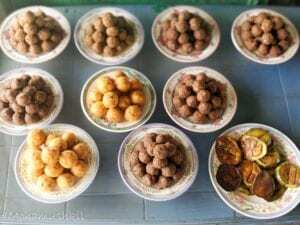 The rice batter is poured inside using a coconut shell and water is sprinkled outside, which serves as an indicator. Once the water is evaporated, it’s a sign that the pitha is cooked. Also, it keeps the pitha moist. 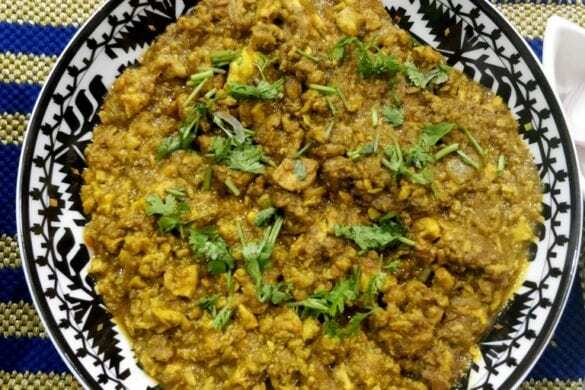 The standard accompaniment is an assortment of bharta and off course meat curry. 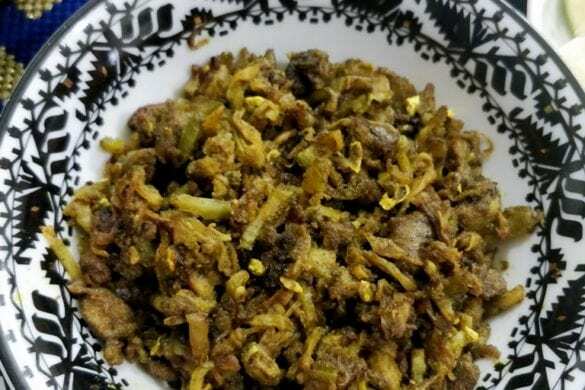 Bharta can be called almost as a national dish in Bangladesh and they can make bharta out of almost anything. 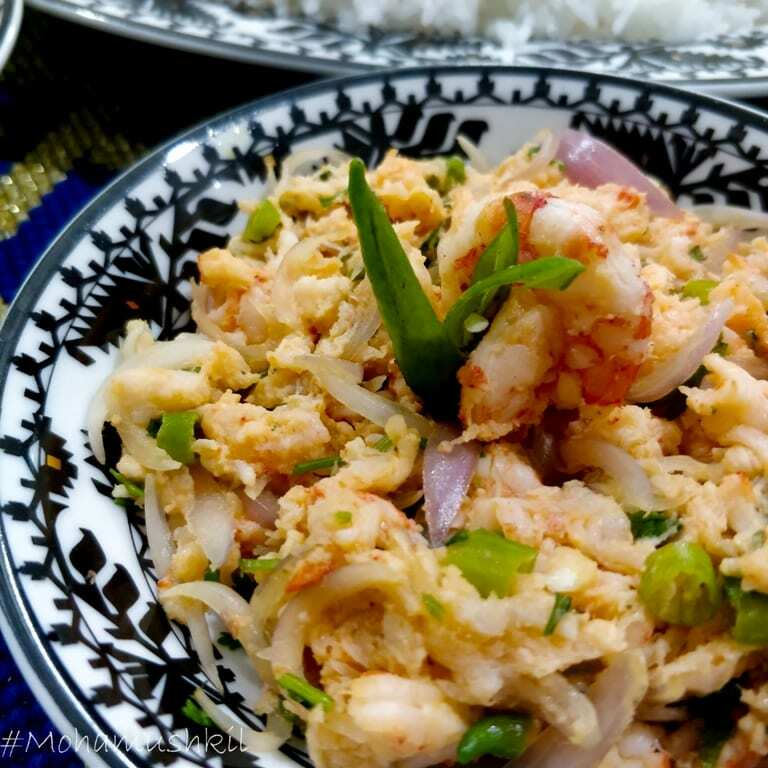 It’s a mash-up of vegetables/ meat / assortment of fish/ egg/ roe/ shrimps … the list is endless. 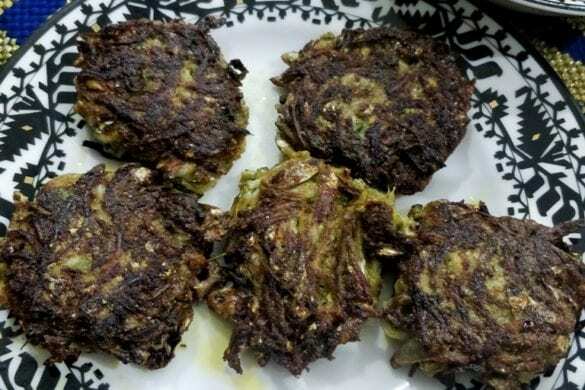 A heavy usage of mustard oil (mostly) is seen and the dish is mostly spicy. The reason is, a good quantity of rice can be eaten with just a small lump of bharta. It’s basically a modest person’s food and is taken like that. 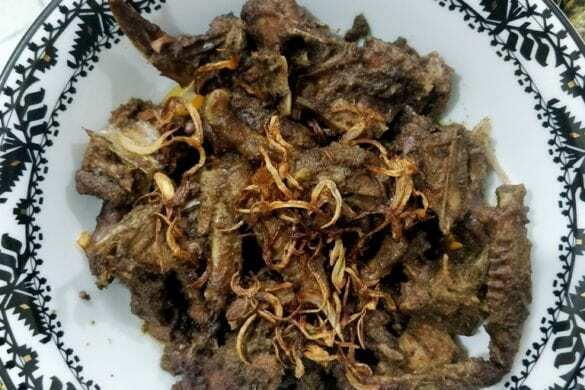 I tasted a good variety of Bharta in Mawaghat, mostly of fish. I even came to know of some very interesting insight. 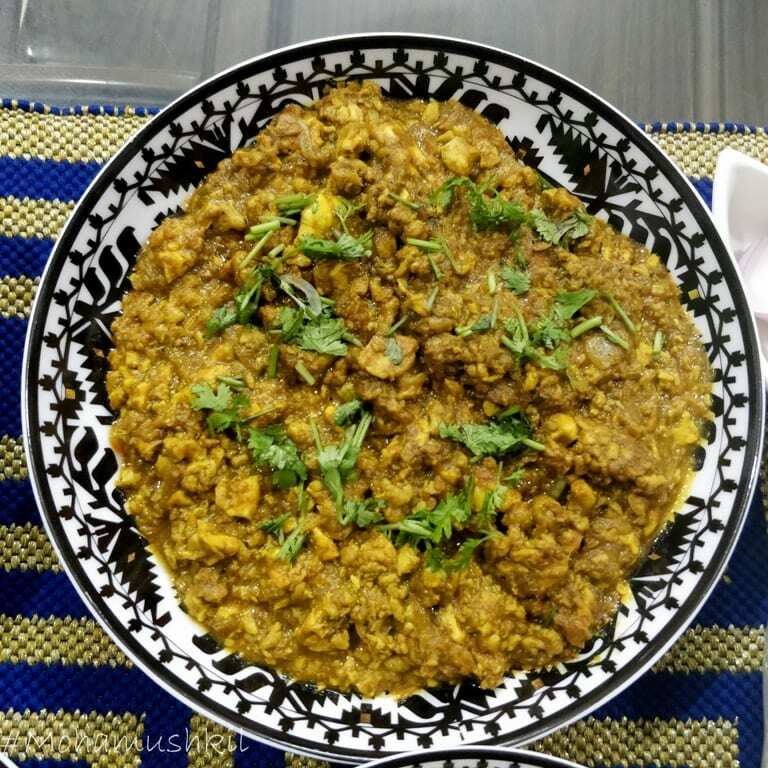 Bharta is eaten with both hot steamed rice and cold water-soaked pantabhaat. 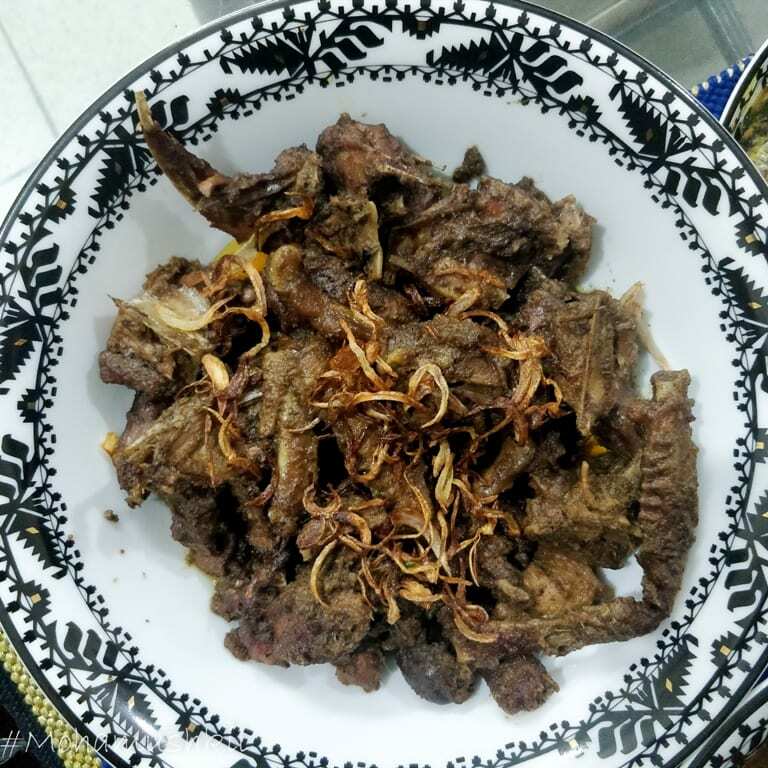 And hot bhartas like rasoon-bharta or morich-bharta goes well with pantabhaat, whereas fish-bharta, aloo-bharta etc goes well with hot steamed rice. 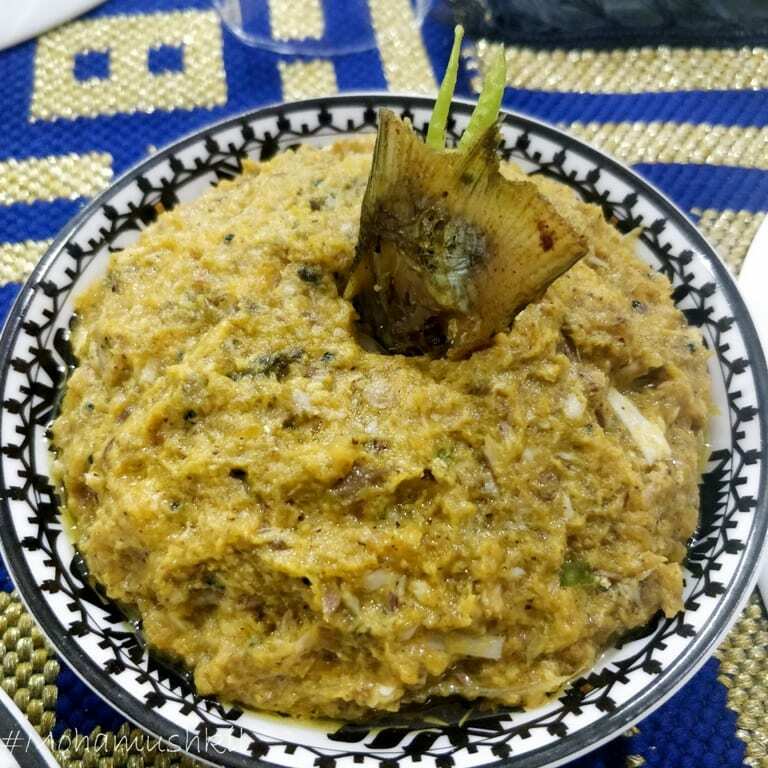 But just when I was thinking of some home-made bangladeshi cuisine, got a call from Nayana di … “You must meet me over lunch and that’s an order”. And being the law-abiding person that I am, soon I found myself at her dining table. 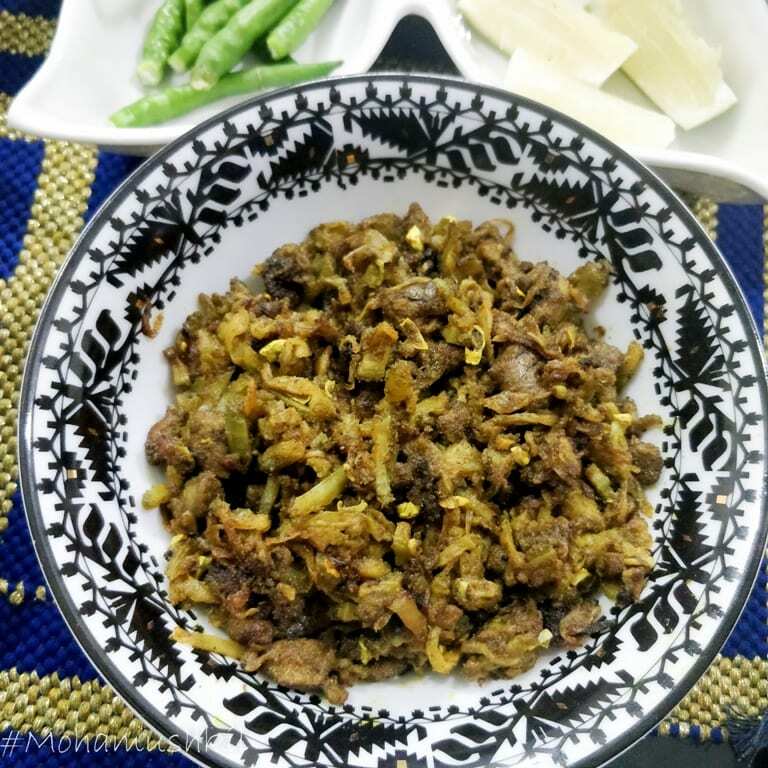 Being a homechef, she is lovingly called as the Bharta queen– and rightly so. 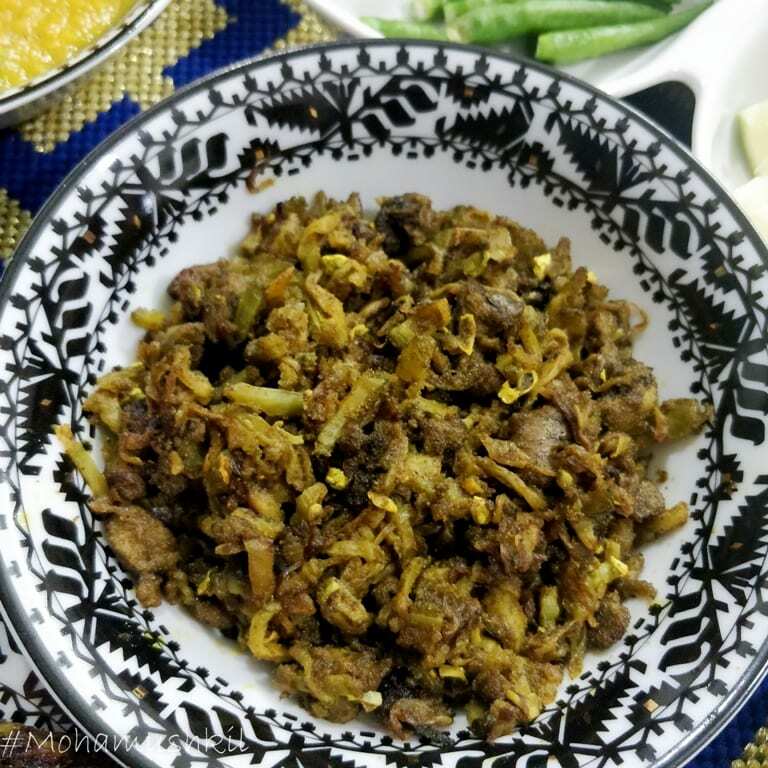 She specialises in bharta, but that didn’t really stop her from excelling in making the main courses. and what she prepared for us, was almost like a shock for me. 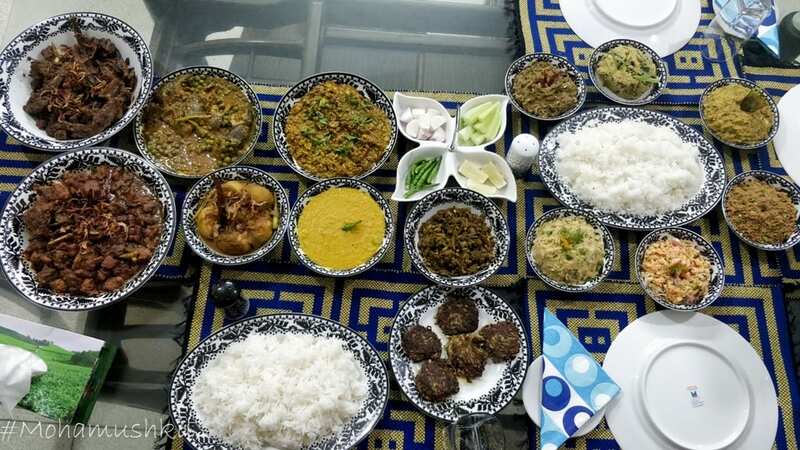 I was frankly unable to remember names of the whole spread- I mean there were 6 types of bhartas ( to be eaten with finer variety of rice) and overall 16 dishes, including desserts. Hence, I thought I should shoot a small video of the dishes and herself explaining the dishes. I’ve heard a lot about her cooking and all good things. And on that day, I understood the reason. Each and every dish was a masterpiece, created by a true master. By no means, I am a small eater, but they actually got surprised watching me taking just a spoonful of each dish. 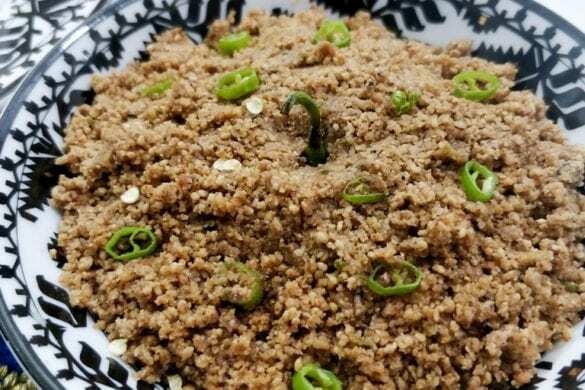 However, I must mention few dishes. 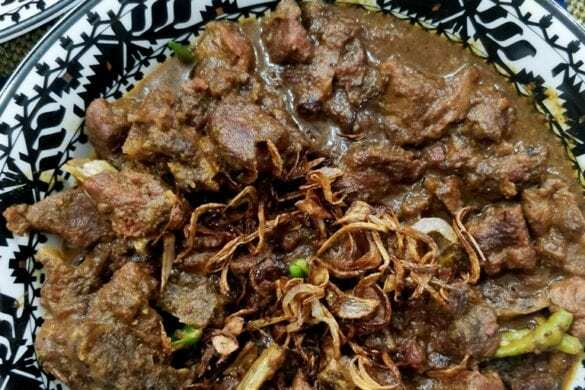 And one is beef Rezala. Rezala there, is very different from what we’re used to taste here. 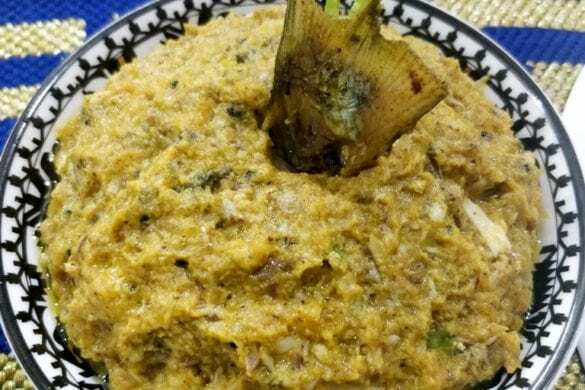 There’ the rezala is also another brown gravy. 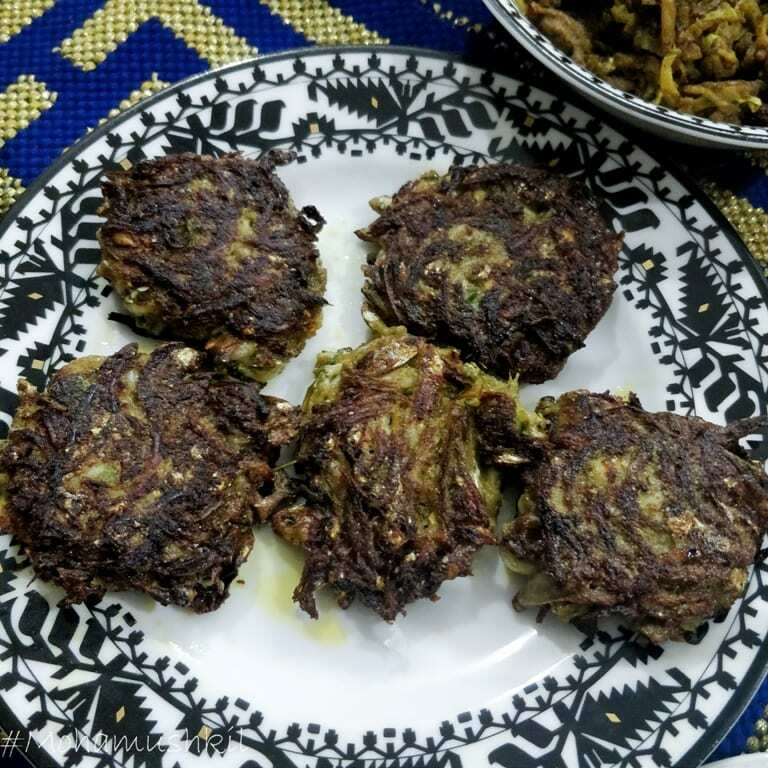 I am not very sure, whether that is because the use of Bereshta (thin fried brown onion) in muslim cuisine, but the taste was great. Also, the duck malai curry (though made using coconut milk) was another brown gravy. 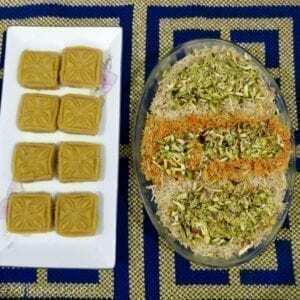 for desserts, she had prepared Pineapple Halwa (perfectly diced and shaped) and sevaiyan with a layer of kheer. And though I am not really a sweet person (pun definitely intended), I couldn’t stop myself from taking 2 spoonfuls each. 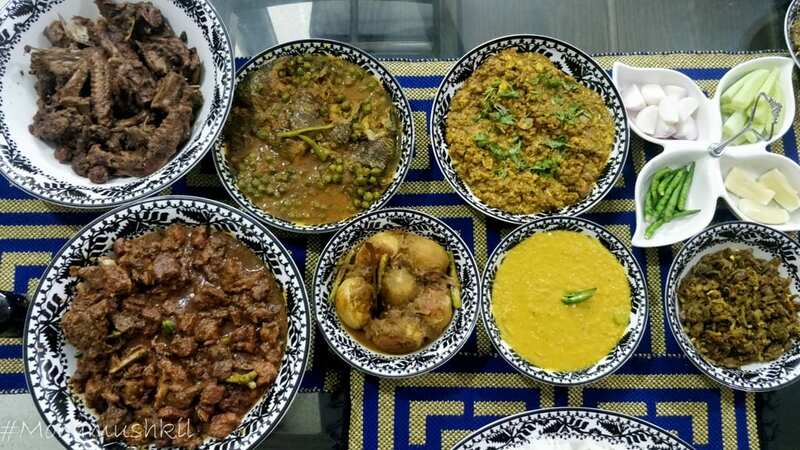 And after these two dhaka encounters of mine, I strongly admit that hospitality in Bangladesh is simply at another level and one must prepared to have it. One good workout was needed in the evening after this, but being the lazy type, I actually preferred to have a swim. 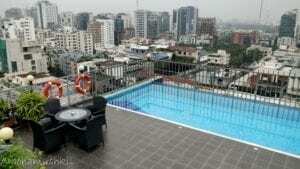 And the infinity pool at the top floor of Hotel Long Beach Suites Dhaka was just the place for it, before plunging for my evening siesta. And, this was the time, I was literally ordered by Kanishka da to report for the dinner treat, but that’s a separate story …. After reading your blog, I am literally salivating. 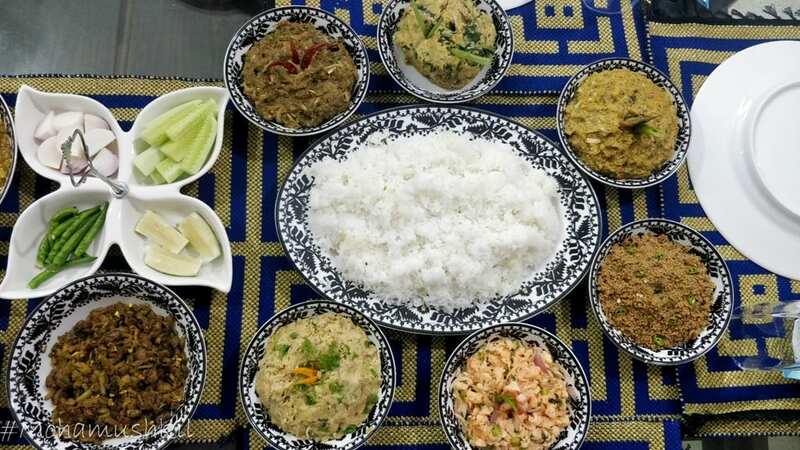 Maybe I will visit Bangladesh once just to sample some of these delicious dishes.